As we come off one of the big weekends in the wrestling year, you could be forgiven for thinking that the following weekend would be a quiet one. Well that might be the case for some, but not here in the UK as we have a plethora of events taking place all over our blossoming wrestling scene. Let's take a look at just a few and get Ready For The Weekend. 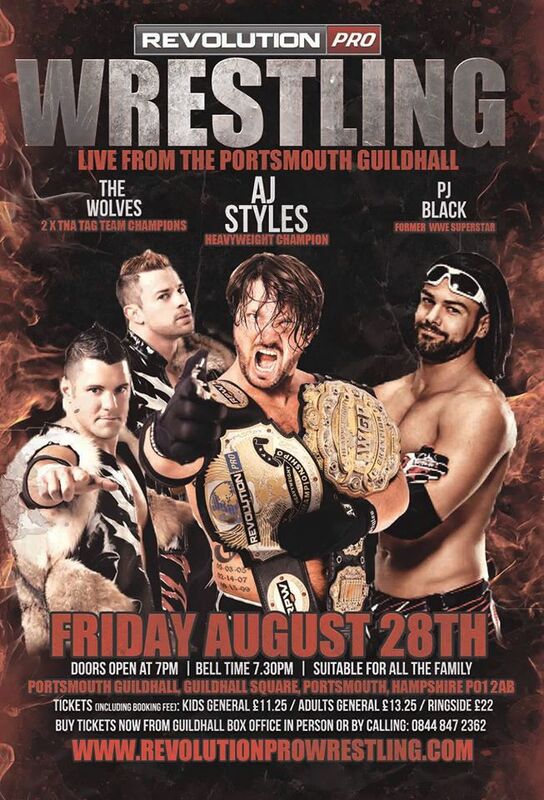 Up first on Friday night is Revolution Pro Wrestling's event at the Portsmouth Guildhall. RevPro are known for their events featuring the finest talents from the US and Japan and matching them with the greatest that the UK has to offer. This show looks to be no different with multiple international match-ups. One match with a great international flavour will see South Africa's and former WWE star, PJ Black (FKA Justin Gabriel) face one of the UK's most popular names, 'The Modfather' Flash Morgan Webster. Gabriel has travelled all over the world but it's unlikely he's ever faced anyone like Webster. From one on one competition to tag team action, The Wolves' Davey Richards & Eddie Edwards have held championship gold in almost every country they've competed in. Their opponents on August 28th are part of a group that have held nearly every championship in Revolution Pro Wrestling. The Wolves are one of the most seasoned teams in the world. Josh Bodom & James Castle will do anything in the world to win. The main event scheduled to take place at the Portsmouth Guildhall shall see 'The Phenomenal' AJ Styles defend the Undisputed British Heavyweight Championship against 'The Star Attraction' Mark Haskins. Now for anyone who is unaware, these men have a lot in common. Both have travelled extensively in Europe, Japan and been a part of TNA. This might be Styles first defence of the championship but to underestimate the threat that Haskins poses could very well make it his only defence. Moving on to Saturday and we faced the old problem of picking one show from many so instead we have two. The first event on Saturday is Kamikaze Pro's Brute Force at The Collingwood Centre in Great Barr, Birmingham. The event will see all the championships on the line including Marshall X defending the Relentless Division Championship against Pete Dunne. These men are the opposite of each other in every way. Pete Dunne spent a number of weeks this year in China, improving his craft. Marshall X on the other hand spent his time winning and retaining the Relentless Division Championship by any means he could. However, now it's time to see if that cunning is enough to overpower Pete Dunne, a man who is focused solely on leaving Brute Force with gold once again round his waist. Speaking of gold, The Hunter Brothers will once again be in action defending the Tag Team Championships. Their opponents this time are a team which was born in Kamikaze Pro, The Vulture Squad. The Hunter Brothers have shown in every match why they are one of the best tag teams in Europe. The Vulture Squad have also shown their skills all over the UK as a team and individually. On August 29th we'll see who comes out of this match as the winner in a match that could go either way and steal the show. Another championship that'll be on the line will be the Kamikaze Pro Championship currently held by Robbie X. Robbie has had some big title defences since winning the gold in October 2014. This is quite literally his biggest as he defends against the first ever British World Heavyweight champion, Magnus. Robbie X has been a fighting championship and has never backed down from any opponent. He will need that mentality and all of his skill to overcome the massive Magnus. Magnus will know the challenge ahead of him to dethrone Robbie X. Robbie X will know this is biggest challenge yet. 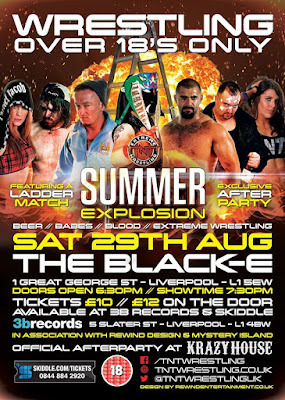 The second event we are featuring for this Saturday is TNT Extreme Wrestling's Summer Explosion 2015 at The Black-E in Liverpool. Right at the top of the card in the main event we shall see Bubblegum face Stevie Boy in a Ladder Match with the winner qualifying for the heavyweight championship match later this year. Bubblegum is widely regarded as one of the UK's best wrestlers right now. Stevie Boy on the other hand is one of the best wrestlers based in Scotland. That being said, Stevie Boy is no underdog in this match. The fact that Stevie Boy is better known in Scotland than the UK as a whole is no indication of the skill and talent that he possesses. This main event is going to be very hard to call. This match might well introduce them to one of Scotland's wrestling diamonds when he faces one of the best in the UK. Now many people like masked wrestlers. Chris Ridgeway is not one of those people. He has issues with masks, big issues. However the next masked wrestler he faces, could be argued as being his toughest yet as he faces CHIKARA star, Ophidian on August 29th. Ophidian is known for his mastery of hypnosis. He may well need to to stop Ridgeway kicking his mask off and adding it to his growing collection. Many matches are born out of rivalry or quests for gold but not this next match between Wolfgang & Rampage Brown. Both men are classic heavyweights. Big, strong, tough and hard-hitting. This Saturday we're going to see which one is the best. It might destroy The Black-E in the process but even then these men will keep going until one comes out the victor. 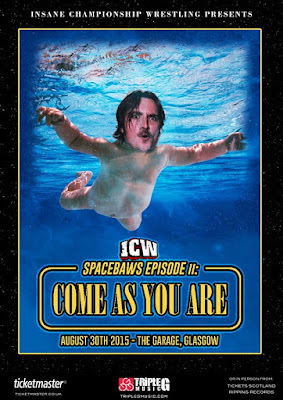 Moving on to Sunday and Insane Championship Wrestling are back at The Garage in Glasgow with the next edition of their highly successful Spacebaws events. Championship gold will be on the line Sunday as the New Age Kliq's Stevie Boy faces DCT with the ICW Zero-G Championship up for grabs. DCT is a man on a mission right now after the events of his wedding to Viper and the attack from The 55. This has turned DCT into a man that few have ever seen. He's ruthless and unrelenting in his attacks. His opponent, the current ICW Zero-G champion, Stevie Boy knows all about being ruthless as he's part of the most dominating forces in the UK today. Stevie Boy turned on his own tag team partner before joining the NAK. DCT has claimed that nothing and nobody will stop him. We're going to see two men filled with hatred and anger give out as much as they can. 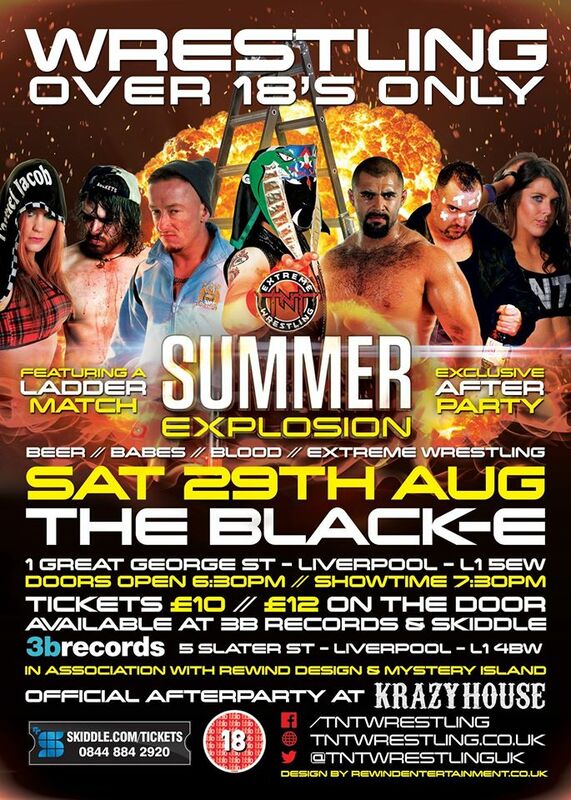 Speaking of the NAK, Kay Lee Ray will also be in action on August 30th. She'll compete in a ICW Women's Championship Tournament Quarter-Final against one of the most decorated women's champions in history, Mickie James. These women have fought before but that was a very different Kay Lee Ray then. Since their last meeting, Kay Lee Ray has competed across the world, been featured on TV and become a completely different person. Mickie James will be a very tough opponent for Kay Lee Ray. Hopefully, Mickie James realises just what she faces in the unforgiving Kay Lee Ray of today. 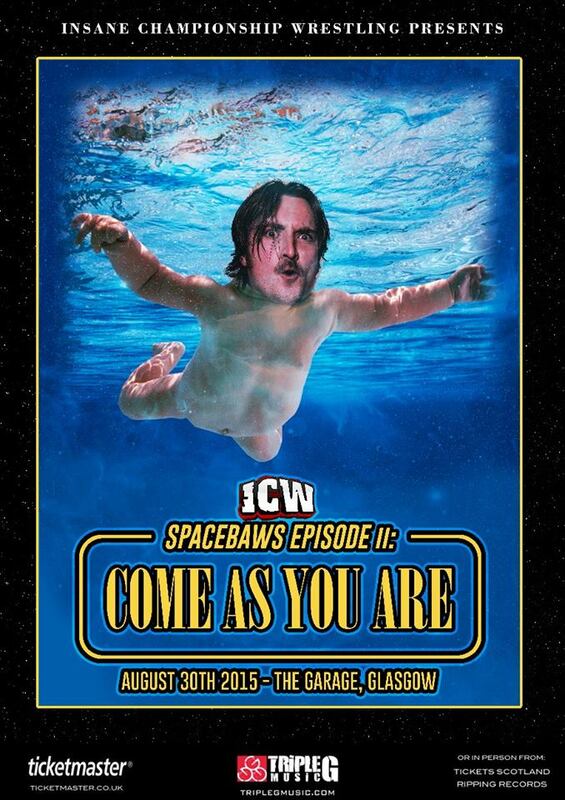 The premise of Spacebaws is to give the young stars of ICW the chance to shine and two men whose stars are shining bright right now are Lewis Girvan and Aspen Faith. While Girvan has been a part of Insane Championship Wrestling for a few years, Aspen Faith has only made himself known to ICW fans in 2015. This match will be a great showcase of what the future and indeed the present has to look forward to in ICW.